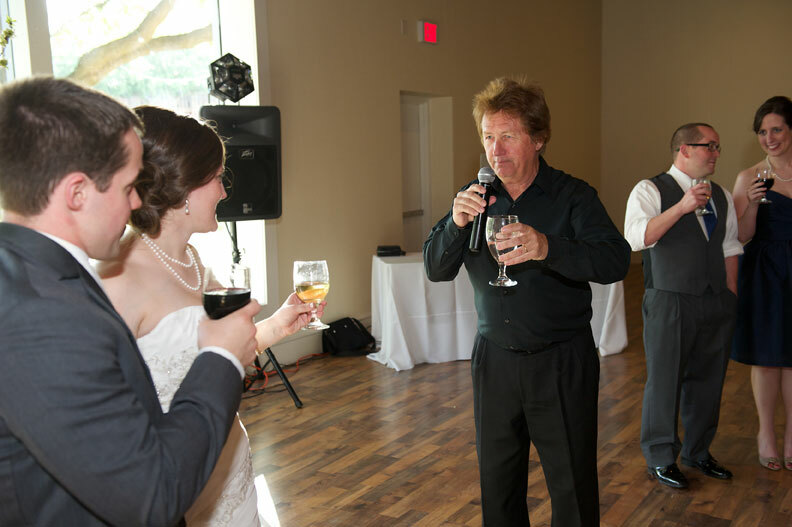 I had such a blast at our reception. I loved getting to see and talk to all the people in my life and Reese’s. It was so fun to see everyone together and I felt like all night long I wanted to ‘jump into’ conversations I could see going on all around the room. Everyone warned me that it would go by too fast and they were right! There were people I wish I’d been able to talk to longer and friends who traveled a long way that I didn’t really get to catch up on their lives. But that being said we had an EXCELLENT time. But overall it was no big deal, and he provided something a little crazy and memorable for the night. 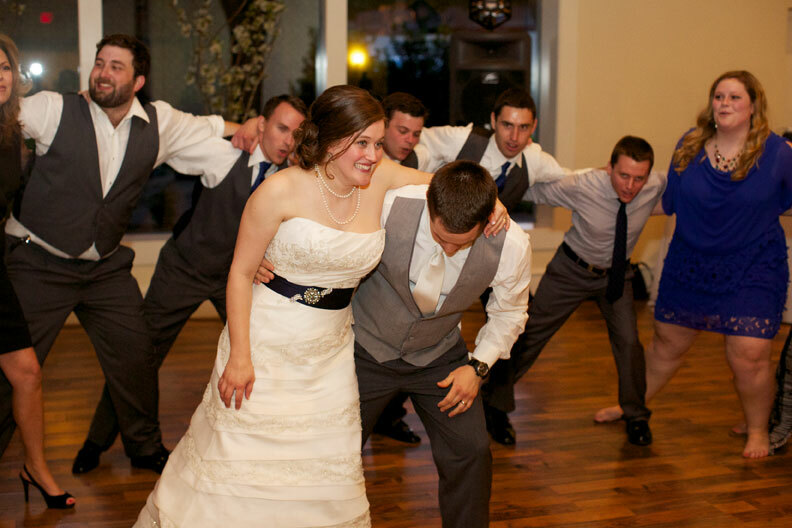 Right when we got in Reese and I did our first dance so that people could go ahead and get up and dance whenever they wanted to. 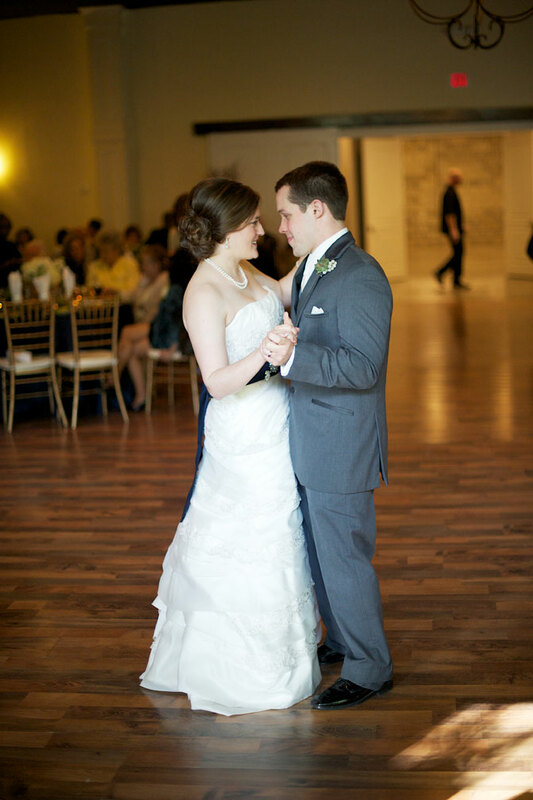 Our first dance was to a song by Jimmy Needham called If I Ever Needed Grace, and is a song he wrote for his wife and talks about their journey through life together and how important it is to have grace through it all. Then we moved into cutting the cake, which I showed you how gorgeous it was on Friday. What I didn’t share was our ‘groom’s cake’. One of Reese and I’s favorite things to do is to go get ice cream. (healthy, right?) 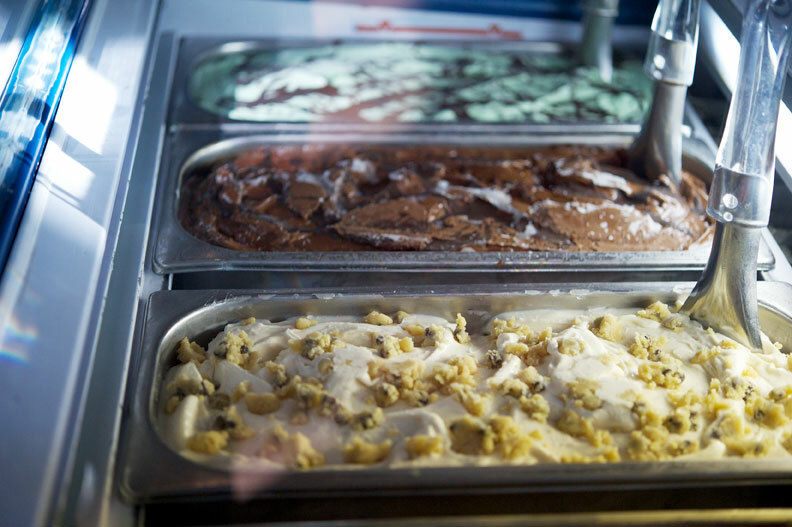 So when we found out that Paciugo Italian Gelato catered events for a not very outrageous price, we jumped on the chance, and it was a huge hit! They bring it in coolers and we could choose 5 flavors for the number that we ordered (shown above is chocolate chip cookie dough, chocolate chocolate chip, and mint chocolate chip… can you tell we like chocolate?… we also served strawberry sorbet and an amaretto). 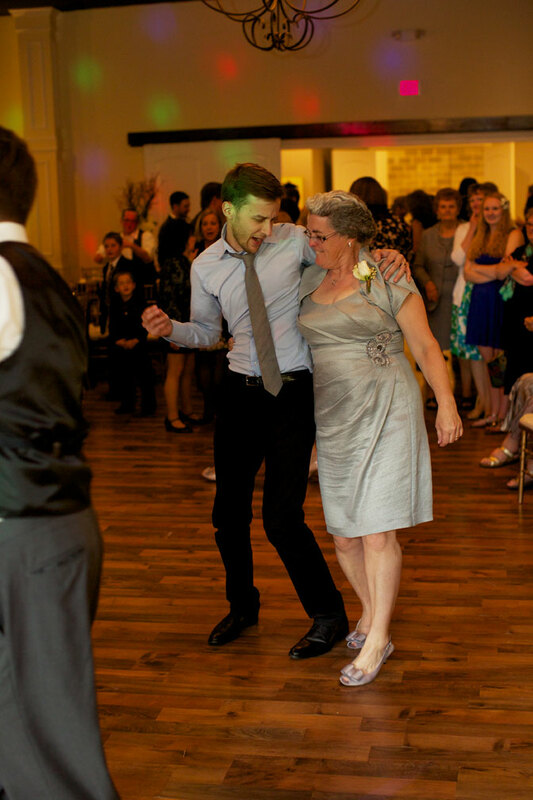 Then for the rest of the night we danced the night away. 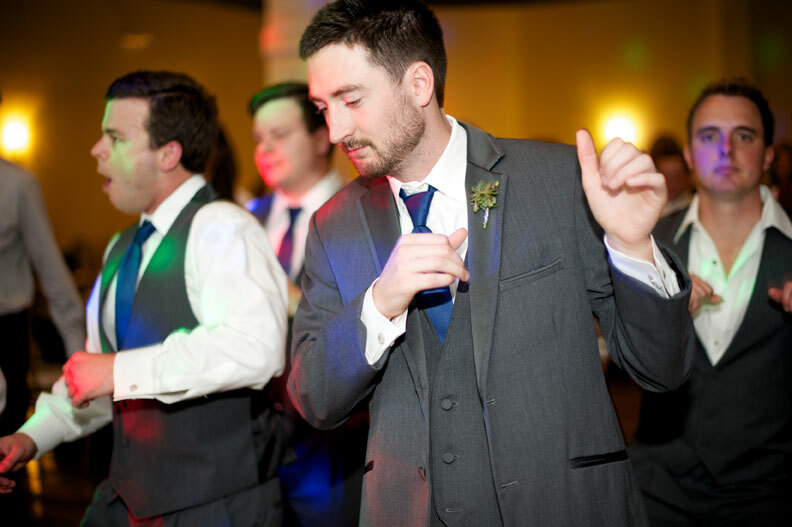 Our groomsmen and ushers were awesome and spent most of their night on the dance floor! 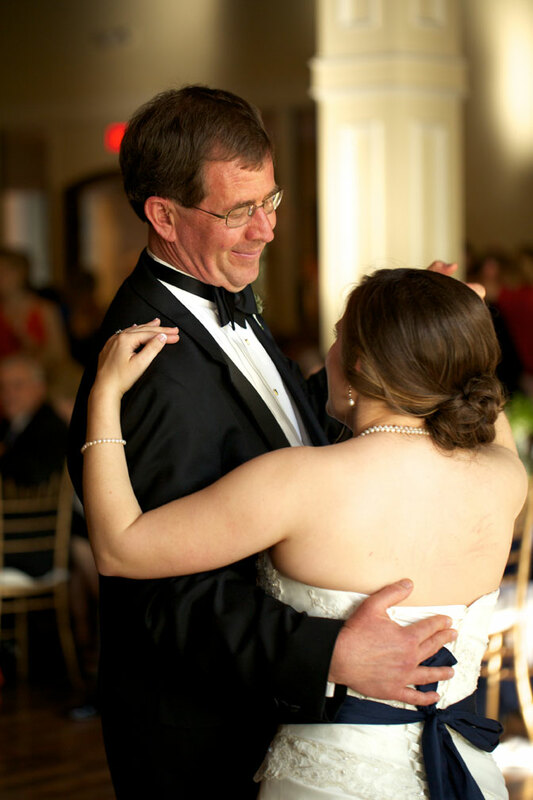 And check out the picture below… easily one of my favorites from the day! 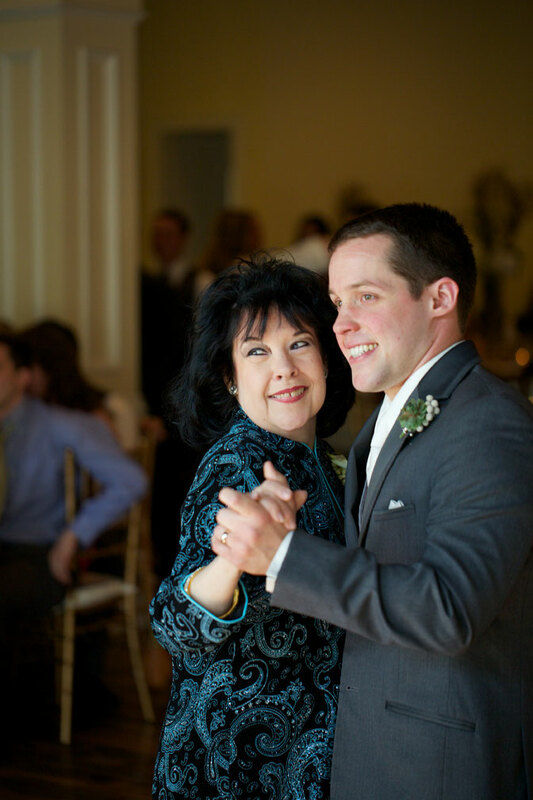 Our musician and good friend Micah was getting my mom into the dancing game! 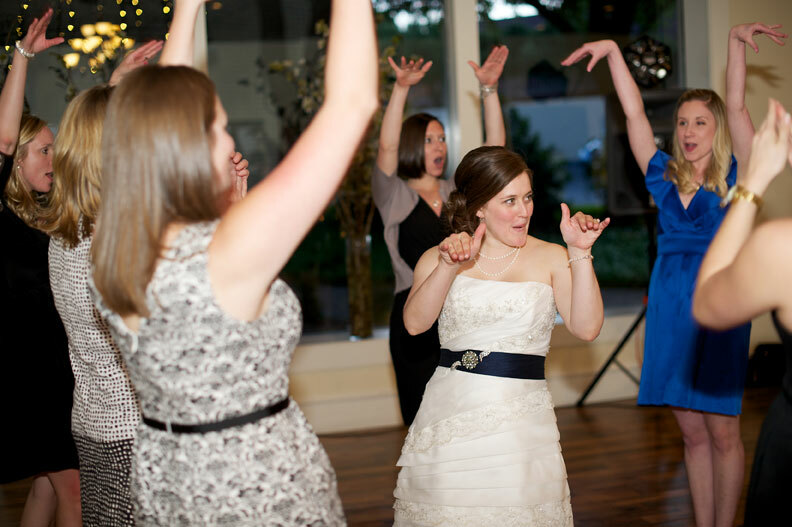 Later that evening my sorority sisters and I fulfilled one of our wedding traditions and sang “She’s a Theta” and like all good sorority songs… it has hand motions. I love that so many of my wonderful sorority sisters made the trek down to Dallas. I loved getting to see all of them! 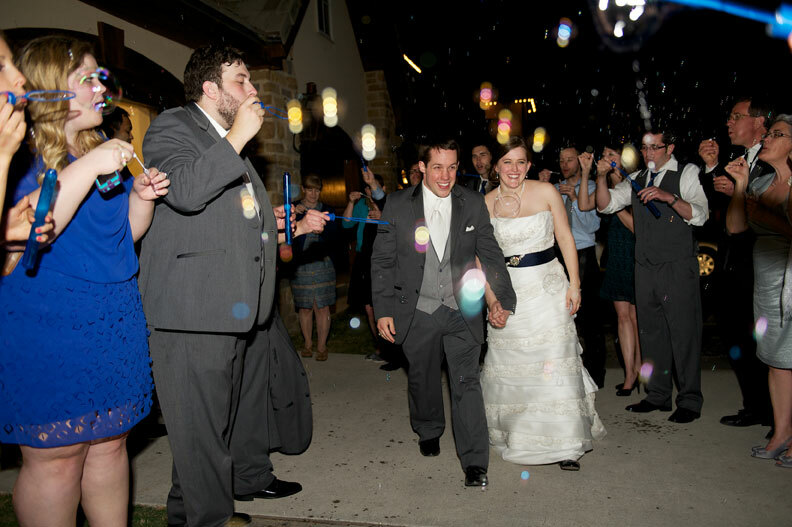 Reese is a Texas A&M grad and the Aggies have their own wedding tradition. 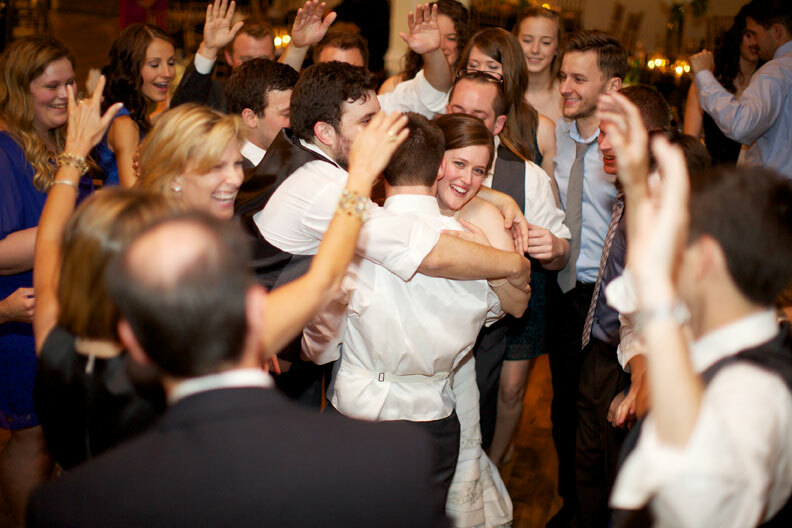 The groom stands in the center of a half circle and they sing the A&M Fight song… also complete with hand (and body?) motions. As a Jayhawk I clearly have a lot to learn. Reese is trying to make a deal that our (future!) children grow up with as much Maroon and White as they do Crimson and Blue. I’ve assured him they can only have Maroon and White during football season… basketball season is all mine! Then our crazy DJ (see above) had all the guests circle around us in a congo-esque line and then on his command run and give us a giant group hug… it was very strange and claustrophobic, but made for some excellent pictures. And to sign off for the night we walked through a tunnel of our remaining guests and into our car so we could head of for Hawaii the next day!